Writerly Things 4/1/19 How Personal Do You Get on Your Blog? In the event of an emergency in your family, do you talk about it? Yes, as you all know, from time to time, things happen, and I do talk about it but only the details I find necessary. For instance, when this thing happened with the control panel, I mentioned we had to secure the funds for it. And because we’re on the poor end, it’s a little difficult sometimes to be able to do that. I don’t discuss finances in detail, other than to say I’m on disability and most of the funds for the house and such come from my children’s help. Without them, I don’t know what I’d do. We got the control panel fixed just in time, after ten days of freezing in the house, for the weather to warm up. Now, for the next two days it’s supposed to be in the thirties at daytime and twenties at night, so we are thankful that we have heat. We all got sick. Even the cats were sniffling, and one had a cold in his eye. We’re slowly recovering thanks to ginger ale and heat. The cats have rebounded as well. Do you reveal deaths in the family on your blogs? I don’t usually by name out of respect for the family. I’ve lost an uncle and his son in the past two years and while all this was happening, the last son had a stroke. I had so much stress piled on me from everything going around. Although I’m on anxiety meds, in a crisis, I sometimes forget to take my meds and then that can cause problems in itself. When I went to see my psychiatrist, he told me my pulse and heartbeat were very fast and I was headed for a heart attack or stroke if I didn’t switch my Geodon meds to Abilify for my bipolar. I reluctantly agreed to do so. Abilify caused me to gain almost a hundred pounds in the past and I lost a good deal of that on the Geodon. It seems I’m doomed either way. I’m going to have to get myself exercising and continue to eat good food. Diet doesn’t do it alone and I have a thyroid issue that’s so far kept me holding steady at 210. I don’t know if that’ll change will the Abilify. Before I started the meds, I was at a healthy weight and such, but my mental illness forced me to get medicated. The weight spiraled out of control. Do you discuss your family? I don’t by name. Sometimes I refer to them as Game Boy and Artist Girl. I want them to retain their privacy. I’ve noticed some authors do the same and then I’ve seen others that do mention them by name. What about family events? Sometimes I will mention outings and such. Again, no names. I learned from my niece that it can be risky to name people, especially family members. That’s an easier territory to maneuver. I often mention my cats, Midnight, the oldest male, black-and-white and around five; Snowball, second male, a tiger, and two years old; Miss Prissy, oldest female; and finally, Miss Callie, both of whom are sisters and calicos and a year-and-a-half old. So, how personal do you get on your blog? Have a great week, take care, and God bless? Next: Next post: You Don’t ‘Find’ Inspiration. It Finds You. Depends… My blog’s original intention was to showcase my writing, and sometimes I write my family, friends and life situations into my poetry. Basically I don’t use it to share my personal life. That was my original intent as well but I find that sharing makes us more human. Of course, not all the details but what we can. If we act as though we never have cares in the world, I think that can affect others with comparison. 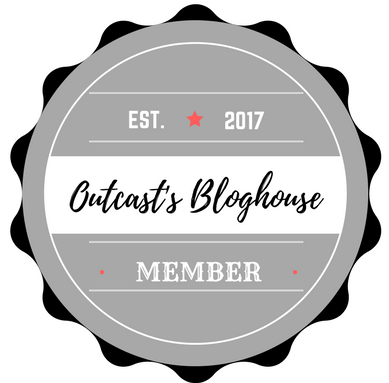 I’m probably somewhere in the middle, between “not at all” and “telling all.” I don’t think this was a conscious decision, but my blog rather evolved that way. I’m not for or against either style when reading blogs of others, and I enjoy the variety this brings! I think sometimes we feel like sharing and other times, not so much. I do sometimes write personal posts, some of them are mini-memoirs, and yes I’ve written about family and especially my poor husband. I try to show more than just my writer side. So I show a lot of my personal self, but not everything. It’s good to share a little, like I’ve said, I think it makes us more human to our readers. Thanks for stopping by, Cynthia! Check out this thought-provoking post from Traci Kenworth’s blog that asks How Personal Do You Get on Your Blog? I think that’s the best way to be, Patricia!